Anwilka Vineyard started as a joint venture between Bordeaux’s Bruno Prats, former owner of Ch. Cos d'Estournel, Hubert de Boüard de Laforest, co-proprietor of Ch. 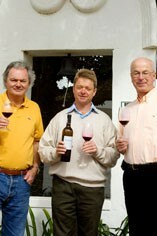 Angélus in Bordeaux, and Lowell Jooste of South Africa’s Klein Constantia Estate. 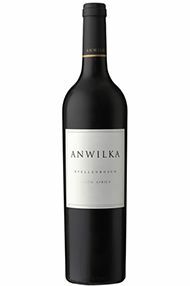 Located in the prime red wine region of Helderberg in Stellenbosch, the vineyard was purchased in 1997, and production of Anwilka wines commenced in 2005. In May 2012, Anwilka Vineyards merged with Klein Constantia Estate, having been purchased the previous year by Zdenek Bakala and Charles Harman. The vineyards are run by manager Piet Neethling and the wine, a blend of Cabernet Sauvignon and Shiraz with the addition of Merlot in some vintages, is made by the very personable South African oenologist Jean du Plessis under the guidance of Prats and de Boüard. The philosophy of the owners is simply to spare no cost when it comes to wine quality. Resources are not squandered on lavish gateways and buildings, and the winery feels more like a modern farm outbuilding. The wine is exceptional, with the influence of its Bordeaux mentors clear for all to see. 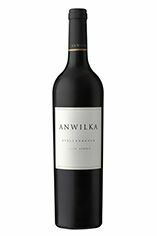 What immediately strikes one on tasting the 2007 Anwilka (50% Syrah, 46% Cab. Sauvignon, 4% Petit Verdot) is the wine's freshness, with its very appealing, cool, elegant fruit and understated tannins. The combined influence of the proprietors, Bordeaux pair Hubert de Bouard and Bruno Prats with S. African Lowell Jooste of Klein Constantia Estate and low yielding vineyards combine to give this their third vintage some real class. Upon tasting, the fruit leaps from the glass - lovely fresh blackcurrants, well supported by a firm but integrated tannic structure that keeps the vibrant fruit character in check.